Our Bobcat E10 Micro Excavators are ideal for use on building or groundwork sites where there is limited access, as they are narrow enough to pass through most doorways. The Bobcat E10 is frequently hired for construction sites where there are confined spaces and is easily operated with adjustable joystick controls for precision control. Operating weight with standard bucket, excluding the operator 1176 kg. Bobcat E10 Compact Excavator Specification Sheet. Our Bobcat E10 Compact Excavators can be hired on short or long term contract hire. The Bobcat’s retractable undercarriage enables the E10 excavator to be compact and easy to transport. It can easily fit onto a small trailer (which we can supply with your hire) or a flatbed truck. Customers can either collect from our depot or we can provide a nationwide delivery service. Our Hire Desk team can offer professional advice to help you arrange the hire of a digger and attachment(s) that are suitable for your requirements. We are also able to provide a choice of buckets and attachments including breakers for demolition works, such as breaking up pathways and paving, concrete or road surfaces. 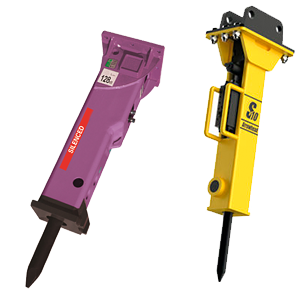 We also have augers and borers which can be used for boring holes when installing fencing, barriers, stanchions, posts or planting trees. For demolition projects, including breaking up paved areas and pathways, concrete or roads we offer a choice of hydraulic breakers which can be attached to the Bobcat E10 Micro Excavator. The breakers come with a choice of tools to suit the nature of the project. The ProDem PRB vibration dampened silenced hydraulic hammers are ideal for sound sensitive construction sites whilst retaining impressive power for heavy duty demolition works like breaking up paving and concrete. We use ProDem PRB breakers because they are highly reliable, durable and generally have low operating costs. 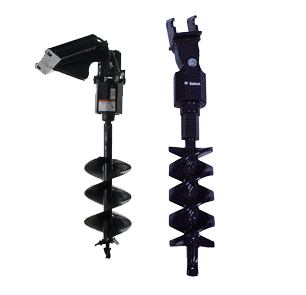 If you need to bore holes into the ground to install fencing, barriers, stanchions, posts or plant trees, then we can provide an auger or borer attachment. 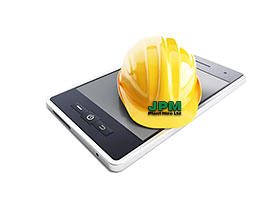 At JPM Plant Hire we offer a range of auger and borer attachments which will allow you to accurately bore holes into the ground with ease. Thanks to its heavy-duty hydraulic power, when used with the Bobcat E10, these attachments will make light work of your groundworks. For more information on our range of Bobcat E10 Compact Excavators (Micro Excavators /diggers) and attachments, or to arrange your hire, please speak to our Hire Desk team.